fan art – BeeFae Cosmetics! At any rate, back in November, a video game came out. Not just any game, but the third installment of the Dragon Age series, Inquisition. I could write a blog post about my love for this world, but that can wait. The short version is that I fell in love with an elf in that game (This shocks no one who knows me.). 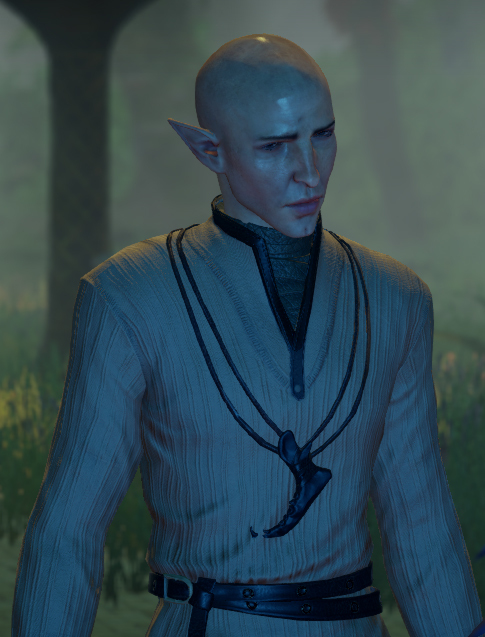 This particular elf, called Solas, wears part of a wolf’s jawbone as a necklace. 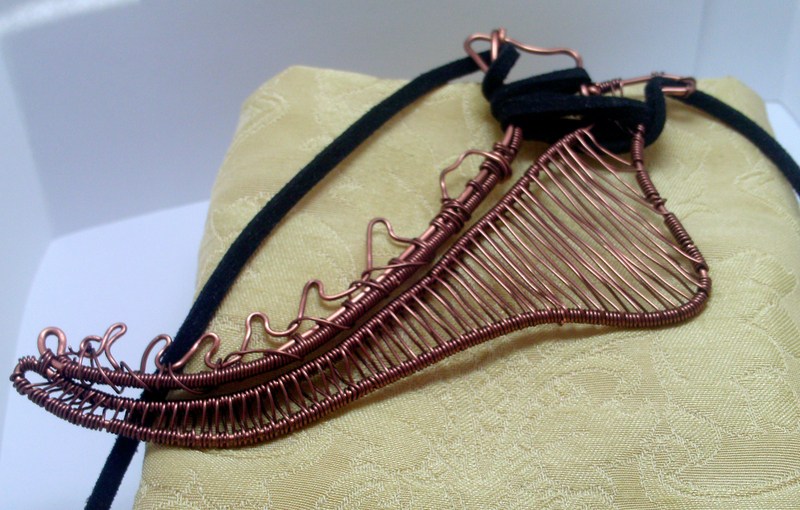 I’ve done different sorts of fan art before, writing and drawing, but I’d never tried to make a piece of game inspired jewelry. So, after some poking and prodding at wire, a few incantations (not really) and some assorted curse words, I came up with a stylized version of Solas’ necklace. It’s been pretty popular, and yesterday, it was featured on the Dragon Age website as a part of their ongoing series “Fanquisition”. I tried to write a post about it last night, but I was pretty excited, and very flighty. 🙂 This is all very cool and inspiring to me, to be honest.